The three galleries Towner Art Gallery, Eastbourne, Birmingham Museums Trust and The Walker Art Gallery, National Museums Liverpool will host 24 exhibitions over three years, becoming national partners for the Collection, alongside Yorkshire Sculpture Park. The investment marks both the 70th anniversary of the Arts Council, and the Collection, which is the finest collection of modern and contemporary British art in the world. It contains nearly 8,000 works by over 2,000 artists such as Lucian Freud, David Hockney, Bridget Riley and Richard Hamilton. Millions of visitors see the work each year which is loaned out to a wide range of exhibitions across England; in 2015 alone, over 1,800,000 visitors experienced an exhibition from within the Collection. The first partner exhibition will take place at Yorkshire Sculpture Park; At Home (19 March – 3 July 2016) and will comprise works by artists including, Edward Weston, Richard Hamilton, Damien Hirst, Gary Hume, Christo and Sophie Calle, exploring the central role of the home in our lives. Yorkshire Sculpture Park will also present Transparency (25 June – 4 September 2016) curated from the Arts Council Collection, featuring works by Eva Rothschild, Angela Bulloch, Hayley Newman, Hiraki Sawa, Alice Channer, Garth Evans and Yelena Popova. Birmingham Museums Trust, another partner, will be showing Night In the Museum (The Gas Hall, Birmingham, November 2016 – February 2017) curated by artist Ryan Gander, which will provide a fresh perspective of the Collection’s figurative sculpture holdings. Prior to showing in Birmingham, the exhibition will premiere at Longside Gallery, Yorkshire Sculpture Park (16 July – 16 October 2016). 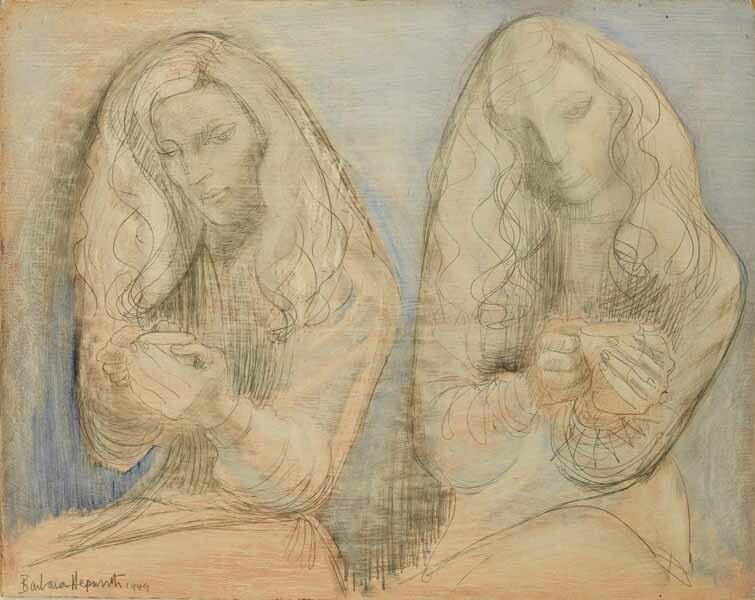 Barbara Hepworth Two Girls with Teacups, 1949 Oil and pencil on board 33.3 x 42.1cm (13 1/8 x 16 9/16") Arts Council Collection, Southbank Centre, London © Bowness, Hepworth Estate. Also showing in the autumn, One Day, Something Happens: Paintings of People, curated by Jennifer Higgie, will open at the Towner Art Gallery in Eastbourne (15 October 2016 – 8 January 2017). Teasing out themes from joy and loneliness to storytelling and theatrically, the show will include works by Walter Sickert, Lucian Freud, Richard Hamilton, Glenn Brown, Ryan Mosley and Lynette Yiadom-Boakye. The Arts Council’s National Partners Fund will help these galleries build on the quality of their exhibitions and reach new audiences, especially children and young people. 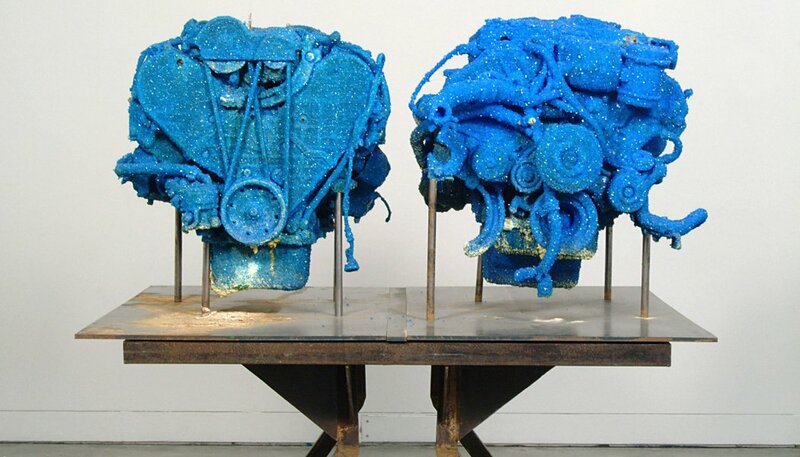 Over the three years of the project, the four partner galleries will deliver more than 20 exhibitions that would not otherwise have happened, ensuring that the Arts Council Collection is able to increase and broaden its audience across the country, while helping the galleries strengthen their regional and national profiles. Since 1986 the Arts Council Collection has been managed by Southbank Centre, on behalf of Arts Council England. It is now based at Southbank Centre, London and at our Sculpture Centre at Longside in Yorkshire Sculpture Park (the latter used on an alternating basis by the Arts Council Collection and YSP). The Collection was formed in 1946 and currently consists of nearly 8,000 works by over 2,000 artists. Since 2012, 3,905 loans have been made to 327 venues representing 50% of the Collection. Arts Council Collection, Southbank Centre, London © the artist.